Well, at least he didn't break one over his head, right? 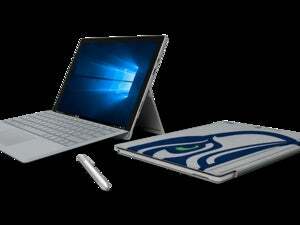 You have to feel sorry for Microsoft’s Surface tablets. 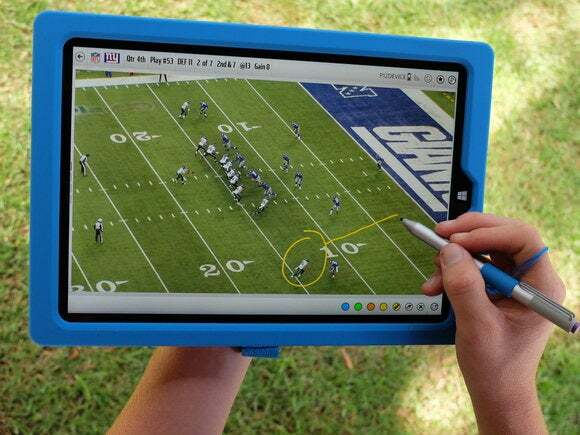 After Microsoft won a contract to supply the devices to the NFL sidelines, they were first misidentified as iPads. Then they were abused. Now New England Patriots coach Bill Belichick has outright rejected them. In a six-minute rant captured by NESN reporter Zack Cox, Belichick opened his Tuesday press conference by declaring himself “done with the tablets”—presumably referring to Microsoft’s Surface tablets, though he never identified them by name. To be fair, Belichick didn’t confine his complaints to just the Surface tablets, but basically the entire IT infrastructure that he and his other coaches are dependent upon during the course of the game. That includes communications to and from the press box, the headsets used in the quarterback’s helmet, the belt pack, internet service, the works. “Inevitably, something goes wrong somewhere at some point in time,” Belichick said. A Surface tablet being used on the NFL sideline. Why this matters: Honestly, most people are simply enjoying the spectacle of one of the world’s grouchiest men going off on a tangent. Microsoft, though, has to be worried that this will set a precedent and other teams will follow suit. The NFL’s rule is that any outage that one team suffers has to be reproduced by the other, so even IT failures that the Patriots weren’t responsible for have to be endured. Worse still, Belichick said the Patriots are handed “new” Surface tablets every game, which means that they don’t have a chance to troubleshoot the devices beforehand. God only knows what happens if those things haven’t been patched. 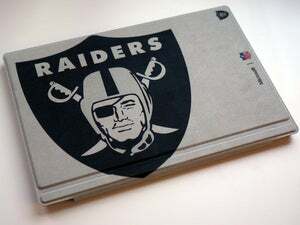 That Belichick's criticisms were widespread can't be much consolation to the Microsoft Surface team, which spent $400 million to secure the NFL contract, then endured the Windows tablets being labeled as “iPads” when they first hit the NFL’s sidelines. And then watched in horror as the Surface was being rammed into Johnny Manziel’s head or thrown down in disgust by Aaron Rodgers. 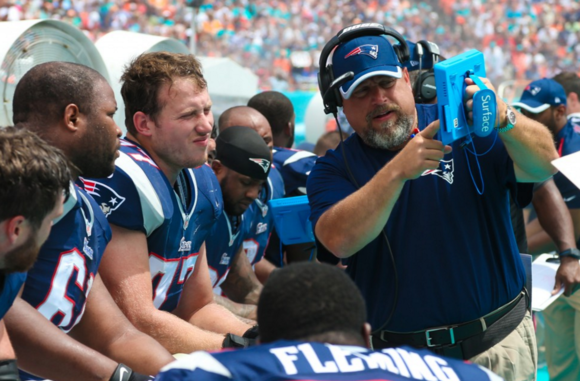 Belichick confirmed that the NFL has experimented with video being streamed to the Surface tablets, an experiment the NFL talked about last February. But all that technology is going in the wrong direction, according to the most irascible coach in professional football. 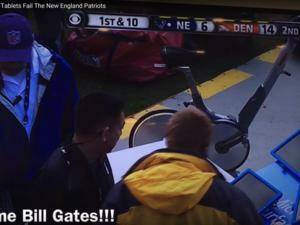 So what is Belichick going to use instead? Pictures. Paper pictures. “I’ll use the paper pictures from here on, because I had just given it my best shot,” he said. And if that fails? Belichick didn’t say. Homing pigeons, perhaps, carrying rolls of papyrus? Updated at 2:16 PM with additional comment from Microsoft.